Alaska Airlines getting Premium Economy seats? 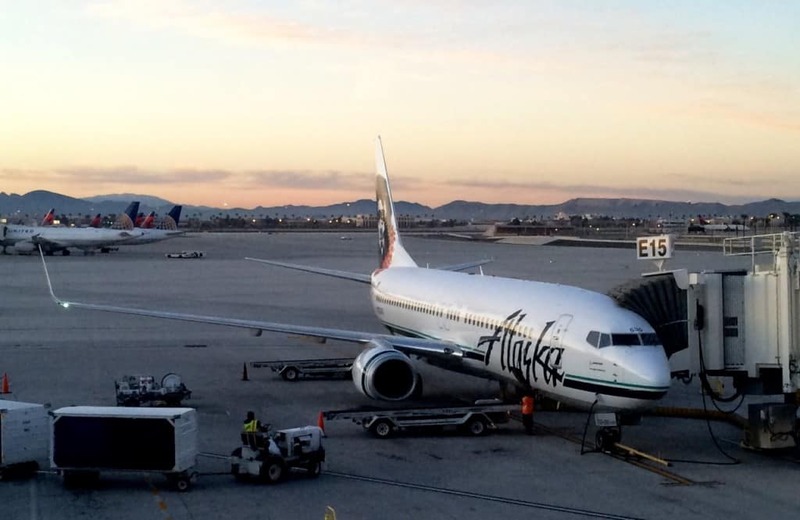 Is Alaska Airlines getting Premium Economy seats? Currently it is one of the few airlines that hasn’t started charging for premium economy seats (with extra legroom and other perks). Alaska recently overhauled the interiors of their entire fleet with new seating that includes power outlets for each passenger. Harrison indicated that no changes will be made to the aircraft. Essentially that means that row 6 and the two exit rows will be the only options since those are the only rows with extra leg room. This means there will be 18 “preferred seats” per flight. The preferred seats would also include a free drink and priority boarding. 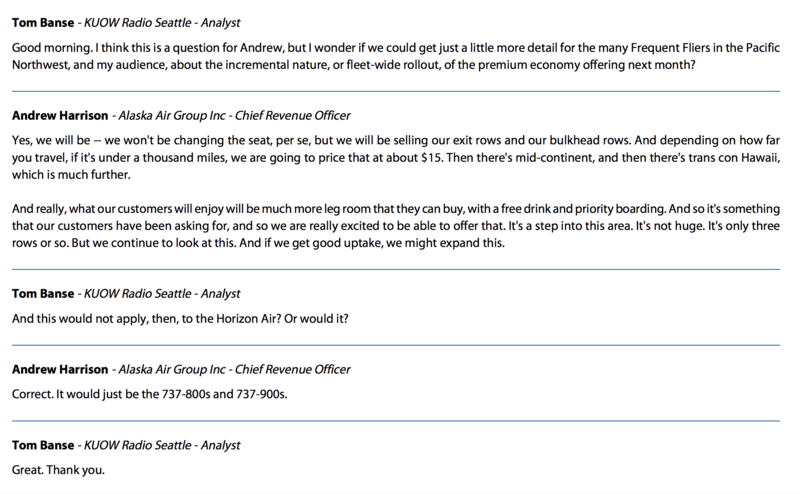 The KUOW article reports that those with Mileage Plan status will still be able to pick these seats for free. I don’t know if that means you have to be MVP, MVP Gold, or Gold 75k to get these seats at no cost. Currently any one with status can reserve these seats at time of booking; however currently only Gold and above get a free drink. If the preferred seats are not booked by MVPs (I can see there being some middle rows left), non-status passengers could pay for to “upgrade” at time of check in. The seats for will be $15-$50 depending on the flight length. In reality, I don’t see this actually making much of a change. Usually row 6 and the exit rows are taken up by MVPs. MVPs also get priority boarding already. What it may add is a free drink for the lowest status tier passengers (MVP). Those without status on Alaska may now have to pay for a seat with more legroom instead of getting it free (if there are any open) at time of check in. EEsh. If there were decent economy seats throughout the cabin (and I belive there are on AS), then there is no need for “premium” economy. Give everyone 32″ rather than some 30″ and others 34″ and there is less chaos on board to enforce seating, and less confusion for the consumer. I hope the pilot experiment fails miserably. It sounds like it will just be for Rows 6, 16, and 17 (bulkhead and exit rows). These rows already have the 34″ pitch (and have to be, by regulation). I think they are just looking for additional revenue for something they previously gave away for free. To be honest, “average flyers” (i.e. non status) could rarely get these seats anyway as they are prioritized for MVPs and above. Sometimes there is a middle seat in one of these rows but that’s it.